Dr Rae Kaspiew is a socio-legal researcher with particular expertise in family law and family violence. She manages the Violence and Families and Laws and Families research programs at the Australian Institute of Family Studies. She has been involved in an extensive range of studies and is the lead author of two large scale evaluations of successive waves of reforms in family law (the 2006 and 2012 reforms). 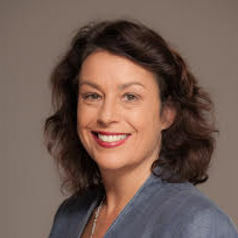 She is the lead author of the Institute’s 2015 report on elder abuse and is on the Advisory Group for the Australian Law Reform Commission’s reference on safeguarding the rights of older Australians. In addition to her role at AIFS, Rae was a member of the Family Law Council, a body that provides policy advice on family law to the federal Attorney General from 2009-2016. She was also a member of the Violence Against Women Advisory Group (2009-2011) that advised the federal Minister for the Status of Women on the implementation of the National Plan to Reduce Violence against Women. Rae is also on the editorial board of the Australian Journal of Family Law and is second author on a family law textbook used widely in universities. After a career in journalism, she graduated from her LLB with first class honours in 1997 and completed her PhD in family law in 2005.